What would you do with an extra $40, $70 or $100 dollars that seemed to come out of nowhere? - strictly based on a decision you made a couple of weeks early. If you're like most people you'd probably try to make that decision over and over again. I know I would! A few weeks ago I wrote an article about Teshuater, the Alkaline Spring Water brand. I briefly touched on some of the reasons I found this new start-up so fascinating and why I decided to get behind this company and support their efforts. Now as exciting as this is I had to consider the fact that I didn't really push very hard to begin generating these kinds of sales. I think the product and the company speak for themselves and I'm really just someone who saw the value in this brand, did some research to make sure it was something I could stake my reputation on and once I was satisfied that it was a reputable company I became an affiliate and told others. That's it! Now cut to one week later (1 month from the article) I get THIS email below. After rubbing my eyes a few times I realized I wasn't dreaming and needed to tell people in my community what's happening right under our noses. 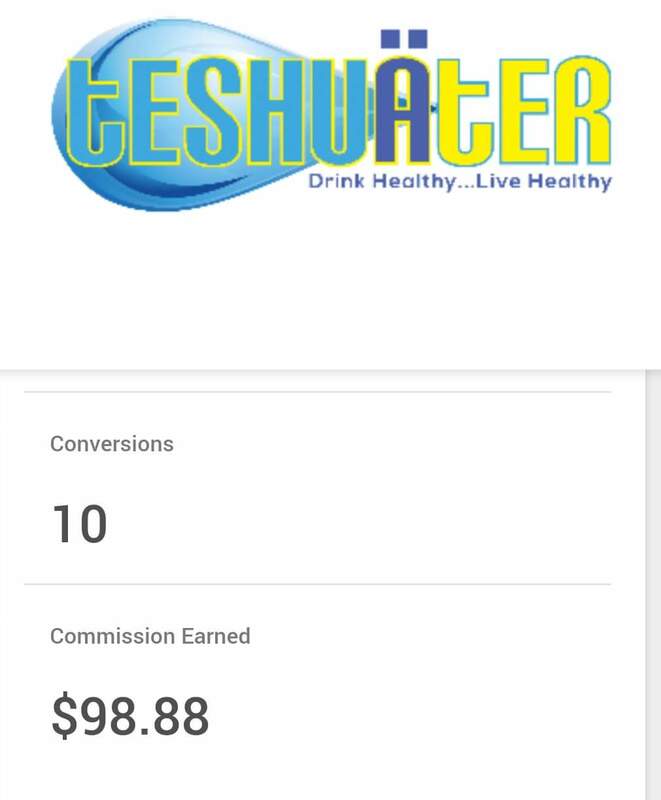 A start-up water company with incredible naturally alkaline spring water is taking the industry by storm and has allowed folks like you and me to get involved in it's incredible growth. So not only is the water exceptional it can potentially earn a substantial passive income by WEEK 3! 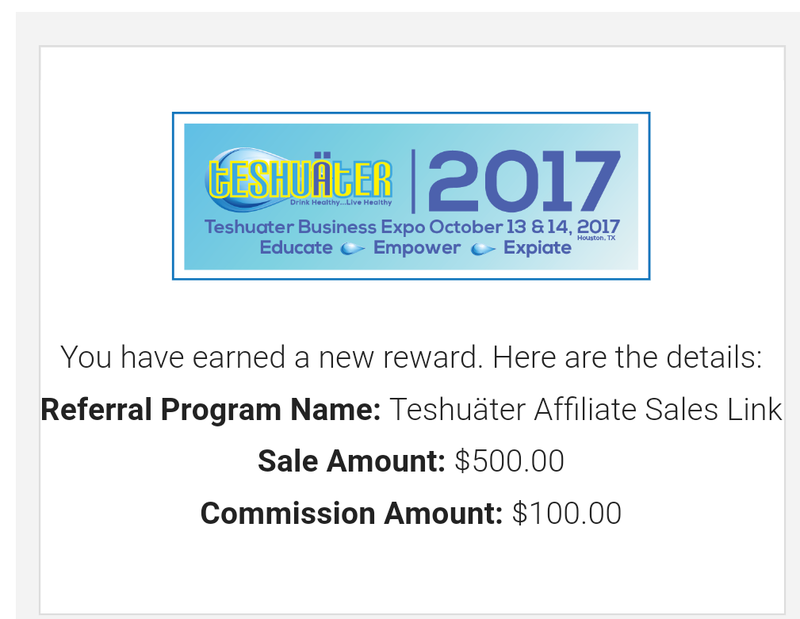 Teshuater pays out every week via Paypal and the funds are available the same day.